What really makes WIDEX BEYOND special is its easy-to-use and customizable made-for-iPhone app. With an interface that can be personalized by the wearer, the BEYOND app gives unparalleled connectivity between hearing aids and iPhone, resulting in easy-to-stream, exceptional sound. BEYOND is also the only made-for-iPhone hearing aid with an app that utilizes the familiar swipe functionality for easy navigation – so wearers can quickly and easily navigate through various intuitive commands and screens. 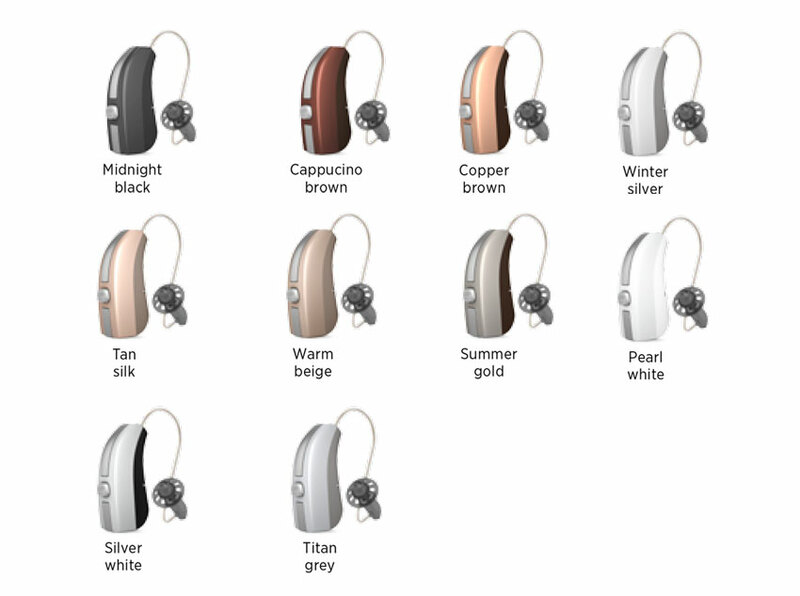 It couldn’t be easier for wearers to customize the BEYOND™ hearing aid. Oticon Opn miniRITE is a discreet, behind-the-ear hearing aid featuring a smart, single push button for easy selection of volume and programs. Powered by a 312 battery and available in an array of colors, Opn’s robust and reliable design will hold up to all your everyday activities.